My first impression of Brandon, Steven, and Bruno was, “Wow what a passionate bunch !” These guys definitely live up to that. They impressed me right from the start – they have a great business model, good numbers, and an awesome product. 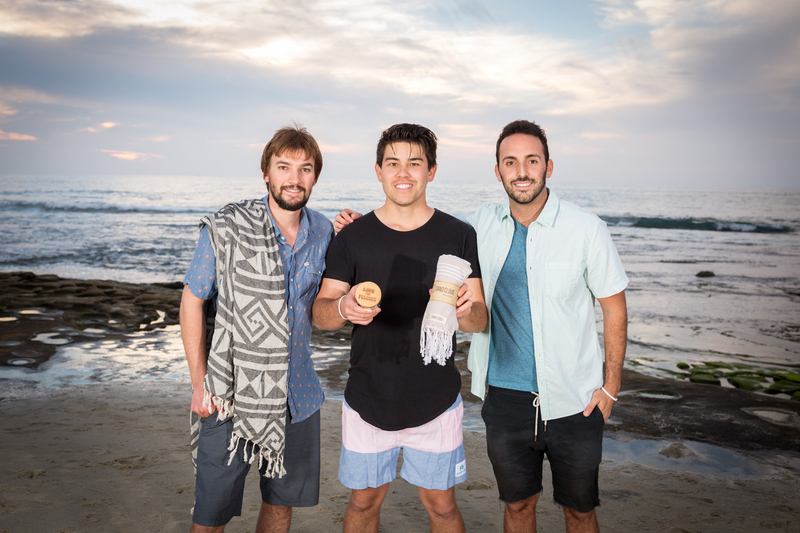 What’s more – it’s clear they love marine life and started their business to help make a difference in the world. It’s great to see entrepreneurs take a strong stance behind a social cause. Not only that, all three are incredibly hardworking and genuinely want to succeed in entrepreneurship. I know Sand Cloud will be immensely successful moving on. I can’t wait to see what they achieve in the future ! We’re all motivated by the ultimate freedom we enjoy as entrepreneurs. Additionally, our mission to save marine life is what drives us to keep pushing our business because we believe that the bigger difference we can make in the world, the more freedom we can enjoy. Can’t agree more ! Why did you start Sand Cloud? We started Sand Cloud because we wanted to work for ourselves and strive for ultimate financial freedom. We also wanted to have a business that made a positive impact on the environment, and that’s why we’ve been all about our mission to save marine life and our oceans since day 1. I love that you have such a strong social cause behind Sand Cloud. What are three lessons you took away from your Shark Tank experience? Making fun of Mr. Wonderful is always a good idea! Haha definitely – that picture was perfect ! Let’s talk about your path to entrepreneurship. What made you want to pursue this journey? After spending a year in the corporate world, I knew that this is what I wanted to do. Really, all three of us are the same in that respect. We believe that life should be spent doing the things that make you happy. Luckily, we’re all risk takers and it worked out at the end of the day. I agree ! Life is short – why not do the things you love? Let’s talk about success – how do you define success? Our definition of success is our relationship as friends and business partners. 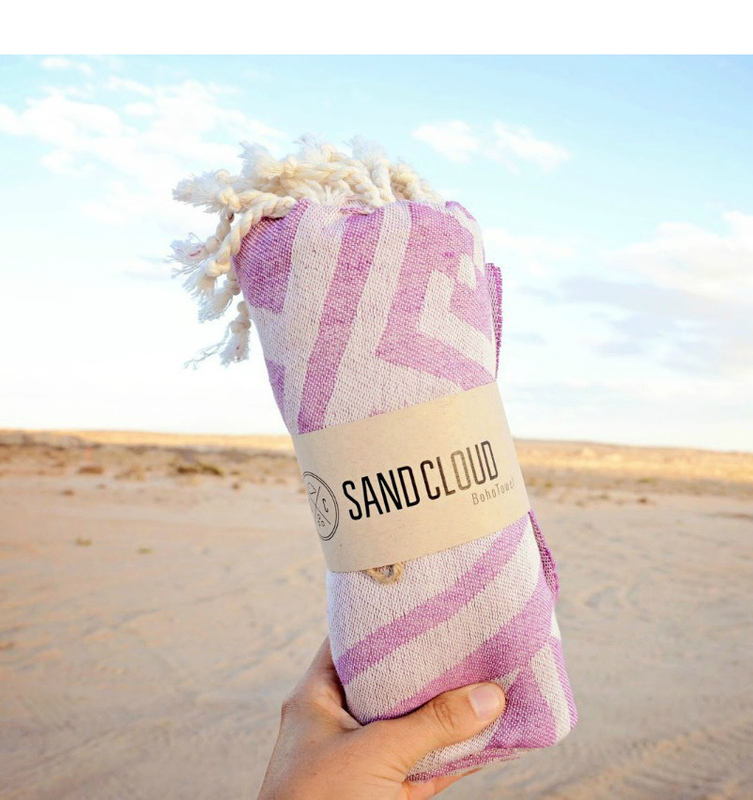 We’ve realized that the closer we are, the better it is for Sand Cloud. Living together for the last 4 years has been a huge factor in our success. You live together?! Wow – talk about seeing a lot of each other ! Did you find that there’s been a price for success? There is definitely a price for success. We’ve sacrificed a lot to get where we are. Bruno and Steven sold their cars back when we needed cash to pay for inventory. I cashed out my 401k to help pay my rent. Steven and I drove Uber to make ends meet. We all moved in together to a 2-bedroom apartment, sacrificing our privacy in the process. If you don’t sacrifice, you will never make it. That’s the reality of entrepreneurship – lots of sacrifices. I want to talk about a time you’ve failed. When was that and what did you learn from that experience? Honestly, we’ve failed SO many times. The one failure that comes to mind right away is when we launched our Kickstarter campaign back in 2014. We didn’t prepare properly, and we ended up begging our friends to donate just so we’d hit our goal. We learned to always prepare, and put in the hours to increase the odds of success. In terms of sales, what has been your biggest hurdle to date? What did you do to reach the next level? Our biggest sales hurdle was constantly running out of inventory and we overcame that by finding more suppliers that could match the quality we were looking for. I’m glad to hear you weren’t sacrificing quality in that process. Too many new businesses will make that mistake and trust me – your customers will notice ! 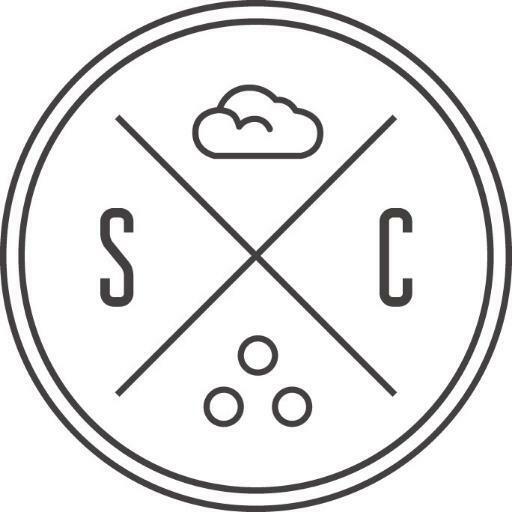 One last question – what’s next for Sand Cloud? We want to reach $100 million in sales. That is a huge goal for us. Our mission is to save Marine Life.